For all of us self-proclaimed car guys, petrolheads, gearheads, etc. there has always been one car that sticks out at us as the first that we really, truly loved. For many, the spot in their hearts is filled by a quintessential pin-up: the Lamborghini Countach, Ferrari Enzo, Chevy Corvette, any car that became the poster child for an entire brand, and in many ways, the definition of desire for a generation of car lovers. But while I appreciate the beauty and power of these triumphs of engineering, there was always one car that stuck out above all others in my mind for a myriad of reasons: the MkV Volkswagen GTI. Now now, I know what you’re probably thinking. “Why would you ever lust for a German econo-car over an Italian supermodel?” “Is he mentally deficient?” Frankly, I’ve wondered the same thing myself (well, one of the two). But for me it all boils down to one simple question: which car, given the assumed unpredictability of your local roads and weather, and the shortage of several hundred thousand dollars in your pocket, would you drive every single day if you only had one car? 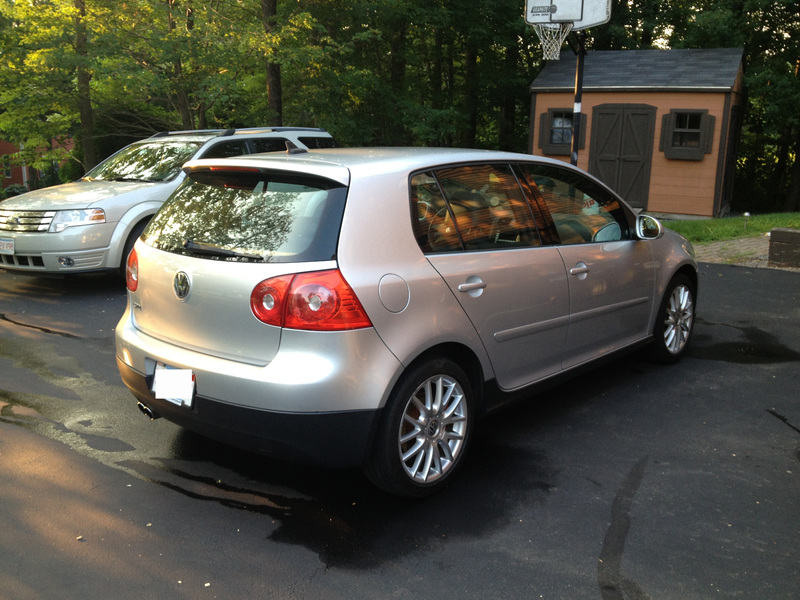 For me, and many others, the answer was always the GTI. It all started when I purchased and played the original Need for Speed: Most Wanted for PS2. It remains one of the greatest games of all time in my eyes, and is the reason I became exposed to the car I would come to admire so deeply. 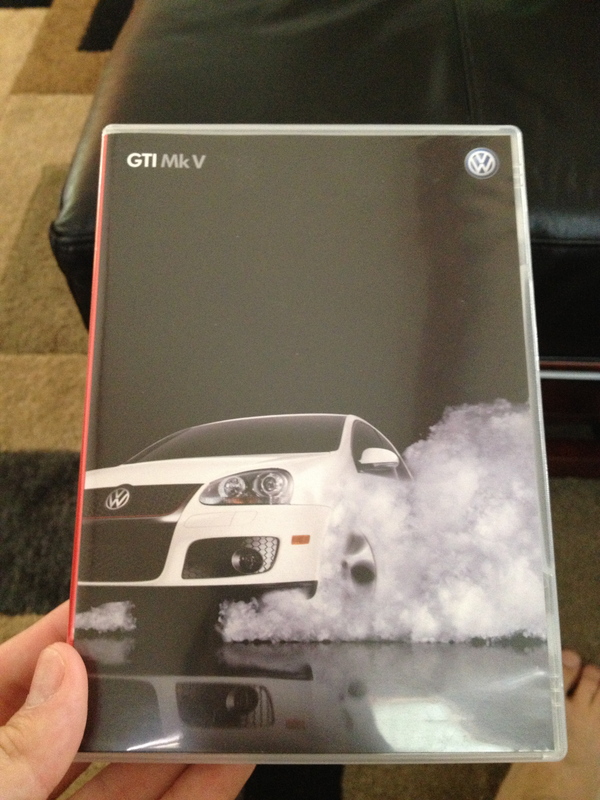 The MkV was one of the choices for a starter car, and with the way customization worked in Most Wanted, you could make it go fast enough to be competitive throughout the entire game, even against supercars. And that’s exactly what I did. Shortly after my love affair began, my dad and I took one of our annual trips to the New England International Auto Show in Boston. This was a particularly exciting year for me, because I knew the new GTI would be there. You may remember the “fast” commercials from when it was released in 2006, but if not, here’s a refresher. It was a clever way to personify the desire to find any excuse to drive, especially in a car as fun as the GTI, and those ads really stuck with me. So naturally, I rushed my dad over to the VW booth, and took my time inspecting every last inch of the beautiful white beast. I took so much time, evidently, that the sales rep at the booth noticed my interest, and offered me a free promotional DVD, which I’m not ashamed to say I watched multiple times. 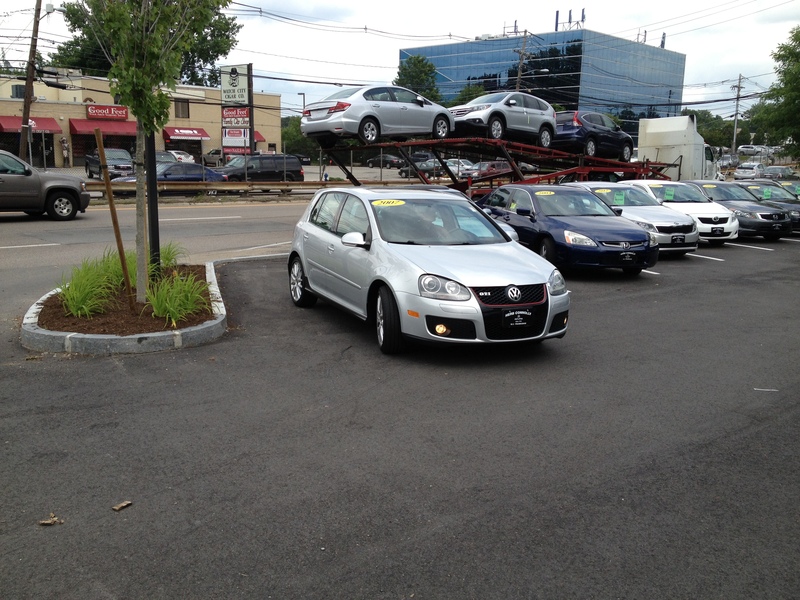 Eight long years ago, I dreamed of the day I would own one, and to my luck, that day came just a few short weeks ago. My first car, the 1999 Volvo S70 I affectionately called “Lucille,” was in possession of my little sister, who had reported many times that the car was on its last legs. There were uncontrollable acceleration issues, a permanent check engine light, and many other mishaps that drove my dad to realize it was perhaps time to let the old Swede go. So he proposed to me that I get the Volvo all cleaned up and ready to sell/trade in, and I could use the money towards a new car that I would commute with for the rest of my college career and onwards. As soon as those words hit my intrigued eardrums, I knew exactly what I’d be getting, so much so that I returned home that night and found an immaculate MkV within minutes. Later that week, after lunch in a nearby town with my grandmother, I convinced my sister and her boyfriend to ride along with me to the dealership just down the road to take a quick look at it. That “quick look” turned out to be a full-fledged test drive, ending with me putting a hold on the car but a fire under my excitement. It was that much closer to being mine. After dragging my dad along to the dealership with me that weekend, having him drive the car, and signing some paperwork, she was finally mine! I drove her home the next day, and grinned the whole time. Putting my foot down at every opportunity, treating every corner like it had an apex and a warning track, and listening to the low growl of the 2 liter 4-cylinder and the whine of the turbo like sweet music to my ears. It was my dream coming true, and I was soaking up every second of it. As a car, it’s as close to perfect as a daily driver can be. 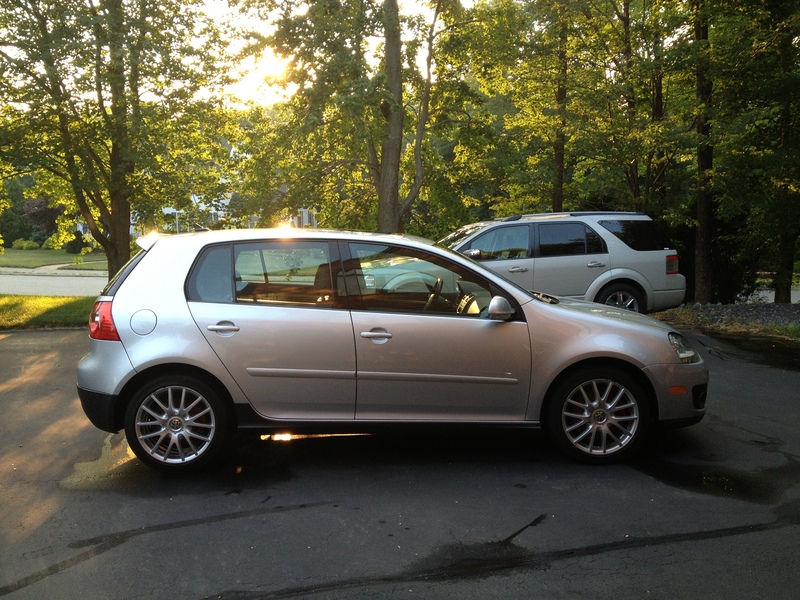 It has 4 doors, it gets 30 mpg on the highway, and it’s got a hatch for added practicality. But it’s when you allow yourself to have some fun with it that it really shines. The steering feel is immediate and precise, to the point where it feels attached to your body. Despite the electric steering (boooo! hissss! ), there is an immediate turn in and a weight to the motion that is missing on so many other modern cars. There’s a half second of turbo lag when you put your foot down, but between 2500 rpm and the redline you have all 203 ft-lbs of torque at your disposal. My GTI, which I’ve dubbed “Broomhilda,” has the DSG semi-automatic gearbox, making for a comfortable commuter with a propensity to let her hair down and dance, so to speak. Throw the shifter over into manual mode, and delight in the sound of the lightning-quick “BRAP” that accompanies every flick of the paddle shifters. It’s absolutely intoxicating with the windows down, and makes any dull commute that much more enjoyable. Needless to say, I am infatuated. It’s hard to see any reason why I would ever need to own anything else, but being a gearhead through and through, there are hundreds of cars I long, and plan, to drive in my life. Those are dreams that I still hold dear. But now, I’m living one. I realize it’s cliche and preachy to end with a statement about dreams, but screw you I’m doing it anyways. Keep on chasing them, because living them is worth every second of wanting. Even if your dream is an unassuming hatchback.